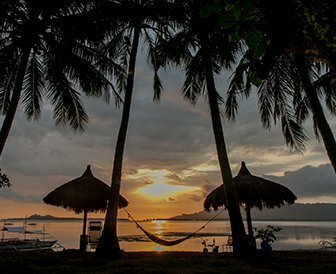 Some of the most beautiful scenery in the whole of Negros Island Province can be found within a 30 minute drive of Melrose Beach Resort. 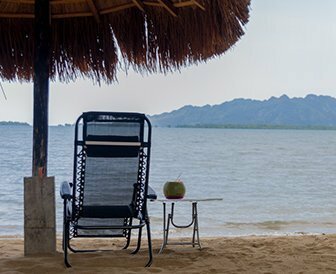 From our coastline to our secluded caves, from our marine life to our mountains and lush green valleys, the sights to behold here are truly memorable. 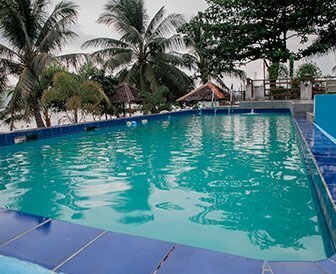 Welcome to Melrose Beach Resort, (MBR), located at the heart of the shoreline in Talacagay Bay. 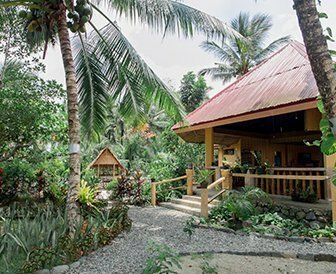 Privately owned and cared for, the resort has gardens surrounding the homely Talaver villa, built in 1998 and set in over one hectare of landscaped coconut plantation. Guests can roam around the beautiful tropical gardens which have been nurtured by the owner over the past fifteen years. The flora and fauna is stunning. There is a tranquil fish pond too, next to which our guests can relax in the shade and reflect on their day.